What Day Of The Week Is October 1? 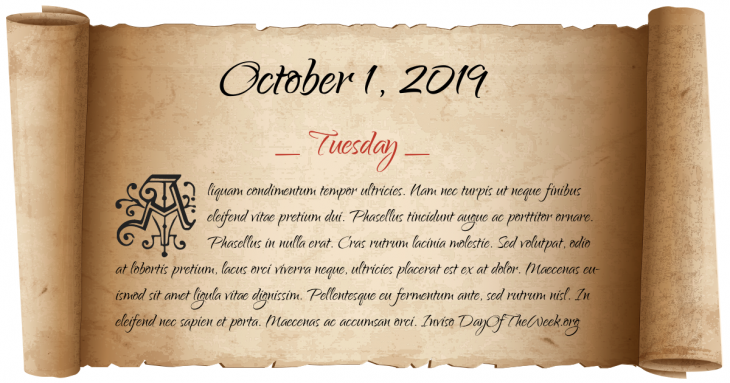 October 1, 2019 is the 274th day of the year 2019 in the Gregorian calendar. There are 91 days remaining until the end of the year. The day of the week is Tuesday. Spain cedes Louisiana to France via the Treaty of San Ildefonso. New Zealand’s Resource Management Act 1991 comes into force. Who were born on October 1?